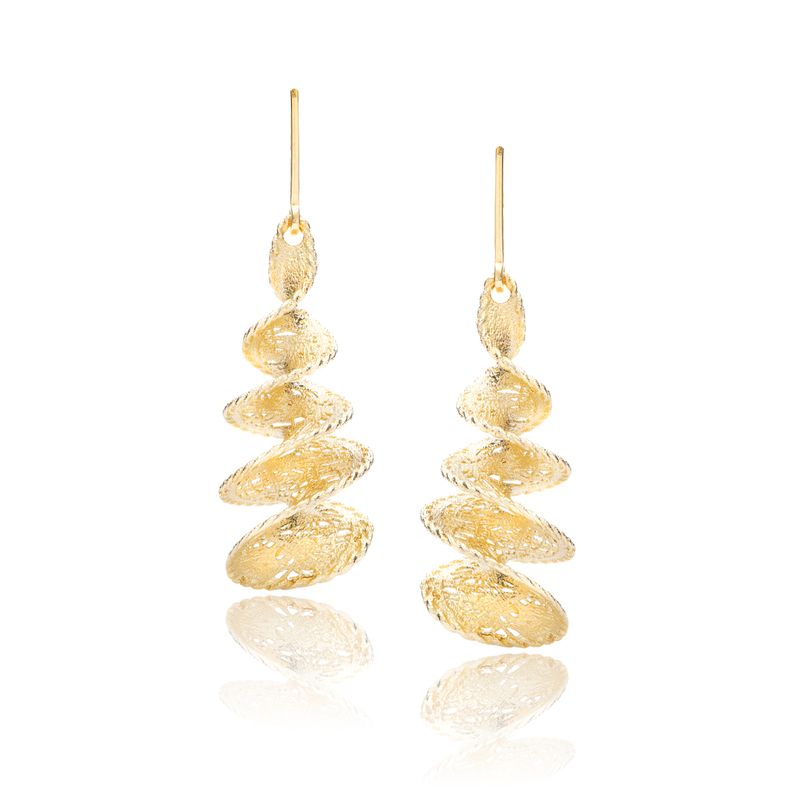 Playful spiral dangle earring of spun 14 kt yellow gold. Orange sapphire ear pendants with diamond accents by J.M. Edwards. 1.14ctw Orange sapphires, 0.26ctw Diamonds G/SI1. Mod gold dangle earring in 14 kt yellow gold. Yellow gold matte finish starlight diamond hoop earrings. The round brilliant cut diamonds are 0.25ct total weight G/SI1. 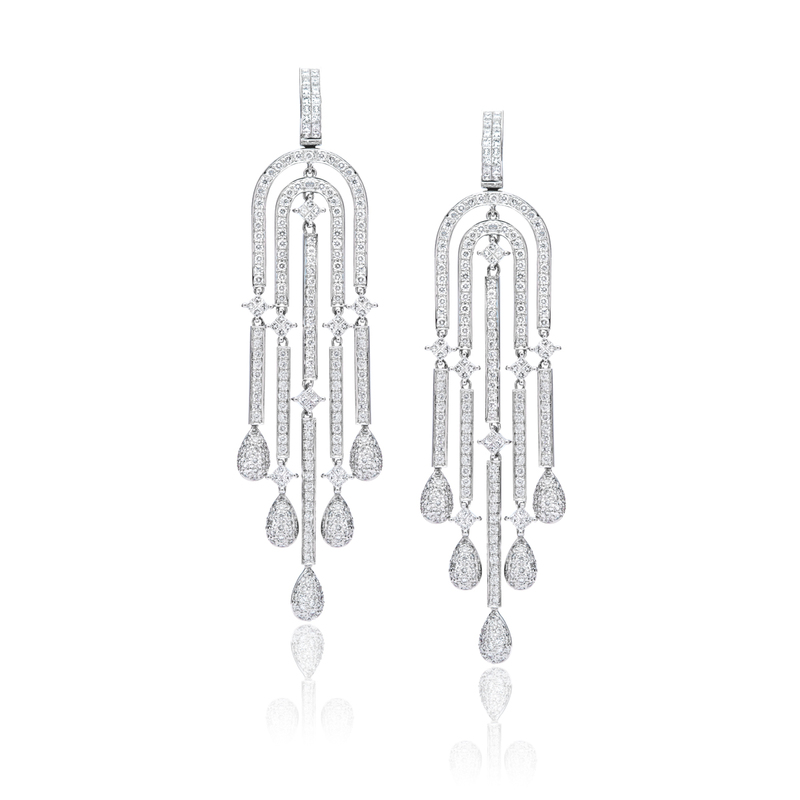 Stunning art deco style diamond chandelier earrings. Diamonds are 5.76ct total weight G/SI1. White gold sapphire and diamond star earrings. Bezel set diamonds in a trefoil design by J.M. Edwards. Round brilliant diamonds are 0.90 ctw, G color, and VS2 clarity. Dramatic black diamond drops accented by colorless ideal cut diamonds designed and crafted by J.M. Edwards. 8.11 ctw black diamonds, 0.32ctw. round brilliant diamonds F/VS. Classic diamond cluster earrings designed and crafted by J.M. Edwards. 1.57 ct total weight F color and SI1 clarity. Starlight emerald and diamond earrings set in 14kt white gold. 14 kt white gold ruby earrings with diamond halo by J.M. Edwards. 1.17ctw Rubies, 0.68ctw diamonds G/SI1. Yellow Gold pave diamond inside out hoops crafted in Italy. 14kt white gold diamond bangle features five bezel set round brilliant diamonds. The diamonds have a total weight of 0.25ct. 18kt yellow gold diamond tennis bracelet. These ideal cut diamonds have a total weight of 7.09ct, are F-G color, and are SI1-2 clarity. 14kt white gold shared prong round brilliant diamond bangle. The diamonds have a total weight of 1.00ct, and G color and are SI1 clarity. 14kt white gold oval ruby bracelet. The rubies have a total weight of 8.07ct. 18kt white gold pink sapphire and diamond bracelet. The pink sapphires have a total weight of 1.40ct and the diamonds 0.68ct. 14kt yellow gold channel set quadrillion cut ruby and round brilliant diamond bracelet. The rubies have a total weight of 2.63ct, and the diamonds 1.26ct. 14kt white gold milgrained diamond tennis bracelet. The diamonds have a total weight of 1.69ct, and are H-I color, SI1 clarity. 18kt yellow and white gold diamond bracelet. The diamonds have a total weight of 1.32ct and are G-H color, VS1-2 clarity. White gold bezel set diamond sectional bracelet. The diamonds have a total weight of 1.36ct and are F color, SI2 clarity. White gold diamond scroll motif bracelet. The bead set round brilliant diamonds have a total weight of 9.83ct. White, yellow, and rose gold diamond scroll motif bracelet. White gold large prong set round brilliant diamond tennis bracelet. The diamonds have a total weight of 9.27ct and are I color, VS1-2 clarity. White gold flush set diamond tennis bracelet. White gold diamond line bracelet. The Porthos 18kt white and yellow gold cufflinks. These custom made cufflinks feature a hammered texture cross motif with cabochon set peridots. Available with matching ring. The Wilmarth custom made white and rose gold cufflinks. These cufflinks feature both round brilliant diamonds and blue zircons. Available with matching band. 14kt rose and white gold disc pendant. The pendant features 0.14ctw of round brilliant diamonds, and a brushed finish on the rose gold center plate. 14kt white gold Shema Yisrael diamond pendant. Featuring 0.35ctw of diamonds. Yellow gold version also available. 18kt yellow gold three diamond drop pendant. The diamonds are 0.26ct total weight and are G/SI1-2 in quality. Also available in white gold. 14kt white and yellow gold cross pendant with a center blonde rose cut diamond weighing 0.49ct, and 0.09ctw of round brilliant accent diamonds that are G/VS1. 14kt white gold diamond pendant. The center diamond is a 0.28ct K/SI2, and the accent diamonds are 0.23ct total weight G/SI1. This 14kt white gold diamond pendant features a 1.28ct K/VS1 center round brilliant diamond. It is accented by bead set round brilliant diamonds that have a total weight of 0.44ct. Three diamond anniversary pendant representing the past, present, and future, set in 18kt yellow gold. The three diamonds have a total weight of 0.76ctw. This princess cut diamond pendent is set in 14kt white gold and features three diamonds that have a total weight of 0.51ct. Available in yellow gold as well. 18kt white, yellow, and rose gold diamond pendent. The diamonds have a total weight of 1.16ct. Black and colorless diamond circle pendant set in 18kt white gold. The round black diamonds are 1.42ctw, and the round brilliant colorless diamonds are 0.17ctw. This diamond heart pendant is set in 14kt white gold and features 0.50ctw of diamonds that are F-G in color and VS1-2 in clarity. Also available in yellow gold. 14kt yellow gold bezel set diamond cross. The eleven round brilliant diamonds have a total weight of 0.85ct and are E-F color, VS2 clarity. 18kt white gold diamond fleur de lis pendant. The diamonds have a total weight of 0.48ct and are G/SI1 in quality. 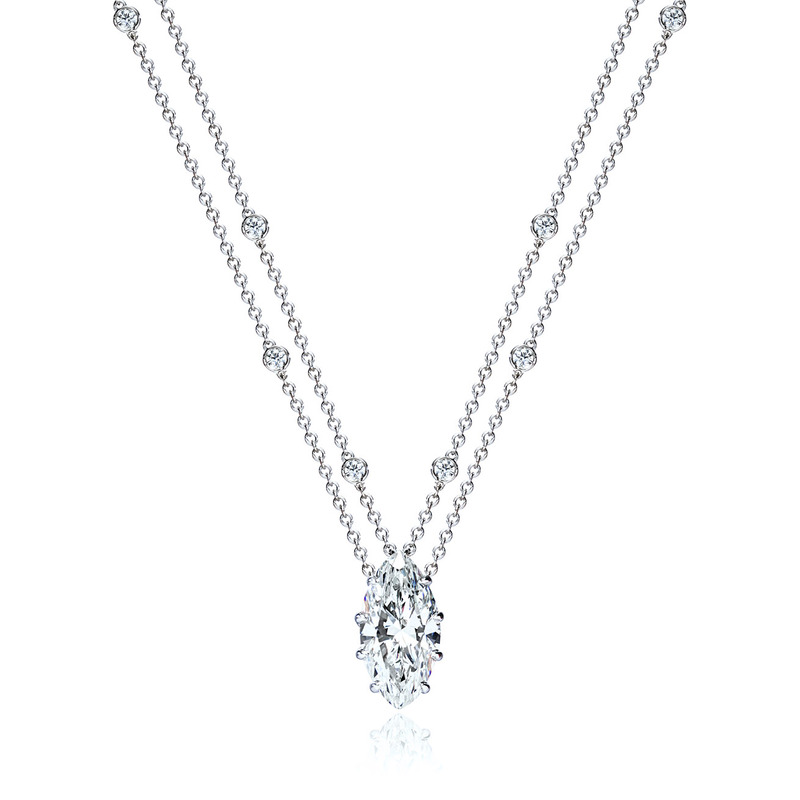 This diamond eternity necklace is set in 18kt white gold features 1.40ctw of round brilliant diamonds. Each bezel is hand fabricated in house here at J.M. Edwards Jewelry in Cary, NC. This 14kt yellow gold circle motif pendant features one 0.03ct bezel set round brilliant diamond. This diamond pendant is set in 18kt white gold and features 0.65ct total weight of pavé diamonds. Diamond cluster slide set in 18kt white gold. The total diamond weight is 0.75ctw and are G-H in color and SI1 in clarity. Set in 18kt yellow gold, this diamond circle of love necklace features 0.55ctw of diamonds. Yellow and white gold diamond section necklace. Alternating brushed yellow gold and diamond pave section in white gold create a sleek modern necklace that can be worn anytime. This diamond ribbon pendant is set in 18kt white gold and features 0.30ct total weight of round brilliant diamonds that are G-H in color and VS2 in clarity. This 18kt yellow gold emerald and diamond pendant features four emeralds that have a total weight of 0.77ct. The center bezel set round brilliant diamond has a weight of 0.05ct. This 14kt yellow gold emerald and diamond cluster pendant features one round faceted emerald that weighs 0.50ct and twelve round brilliant diamonds that have a total weight of 0.36ct. 14kt yellow gold ruby pendant with diamond accents. The center oval ruby has a weight of 0.46ct, and the three round brilliant diamond accents have a total weight of 0.03ct. 18kt yellow and white gold custom boulder opal pendant with diamond and tsavorite garnet accents. 18kt white gold ruby and diamond pendant. Invisible set rubies totaling 1.23ct in weight, and diamond accents that total 0.05ct. 18kt white gold ruby pendant. The invisible set rubies total 1.68ct in weight. 18kt white gold ruby pendant with diamond accent. The invisible set rubies have a total weight of 0.75ct, and the diamond accent has a weight of 0.02ct. 14kt white gold multi-color sapphire and diamond pendant. The multi-color sapphires have a total weight of 0.41ct, and the diamonds have a total weight of 0.06ct. This three stone ruby and diamond necklace is set in of 14kt yellow gold featuring one 0.35 ct round ruby and two ideal cut round brilliant diamonds that weigh 0.20ct. 18kt white gold sapphire and diamond pendant. The center pear shape sapphire has a weight of .075ct, and the surrounding diamonds have a total weight of 0.12ct. 18kt rose gold amethyst pendant that weighs 7.87ct. The center amethyst is surrounded by 0.27ct total weight of diamonds. 14kt white gold ruby and diamond pendant. The center ruby weighs 0.30ct, and the four surrounding diamonds have a total weight of 0.06ct. This 18kt rose gold necklace is comprised of pink sapphires totaling 1.05ct in weight as well as 0.25ct of round brilliant diamonds. 18kt white gold yellow sapphire and diamond necklace. The yellow sapphires have a total weight of 1.10ct, and the diamonds have a total weight of 0.16ct. 18kt white gold sapphire and diamond pendant. The three center blue sapphires have a total weight of 0.53ct, and the surrounding diamonds have a total weight of 0.23ct. 18kt white gold south sea pearl pendant. 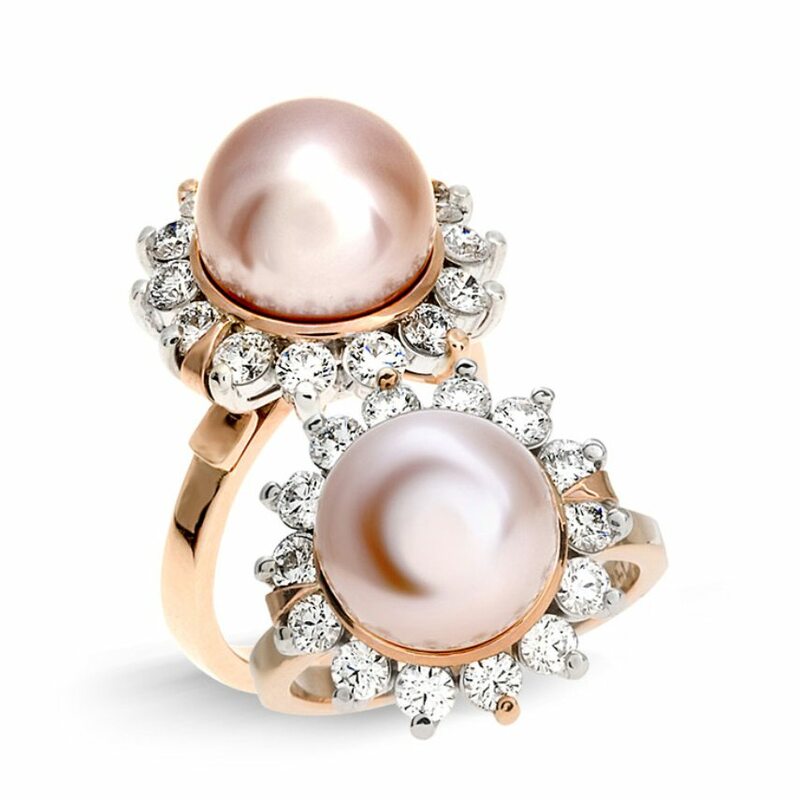 The south sea pearl measures 18.3mm and is accented by 0.10ct total weight of diamonds. 14kt white gold 10mm fresh water pearls drop necklace with 0.03ct round brilliant diamond accent that is E in color and VS1 in clarity. 18kt rose gold 10.4mm freshwater pearl drop necklace accented by one bezel set round tsavorite garnet. 18kt white gold Tahitian black pearl pendant. The Tahitian black pearl is 14.5mm in size. This 14kt yellow gold diamond flower necklace features bezel set round brilliant diamonds that have a total weight of 0.12ct. This 14kt yellow gold square pendant features a hammered texture and 0.10ct total weight of round brilliant diamond accents. This large 14kt yellow and white gold diamond pendant features 2.10ctw of diamonds that are G-H in color and SI1 in clarity. 14kt white gold cross hand made by J.M. Edwards Jewelry featuring one round brilliant black diamond weighing 1.07ct. 14kt white and yellow gold amethyst necklace. The two drops feature bezel set bullet amethysts. Custom made in house at our Cary, NC studio. 18kt yellow gold crescent moon shaped necklace with a large golden south sea pearl. Custom made in house in our Cary, NC studio. 18kt yellow gold cable chain is attached to a 14kt white gold round brilliant diamond cluster. This 18kt white gold diamond pendant features 27 round brilliant diamonds that have a total weight of 0.81ct and are G-H in color and SI1 in clarity. This 14kt white gold diamond pendant features 57 round brilliant diamonds that have a total weight of 0.40ct and are G-H in color and SI1 in clarity. 14kt white gold pear shaped aquamarine and diamond pendant. The center aquamarine is surrounded by a round brilliant diamond halo attached to a diamond bail. This 18kt white and rose gold pendant features 66 white diamonds and 85 pink diamonds totaling 1.15ct. This 18kt white, yellow, and rose gold pendant features pink, yellow, and colorless round brilliant diamonds. 18kt yellow gold ruby and diamond necklace with white south sea pearl drop. This unique pendant features a stone from the Sea of Galilee wrapped in 14kt yellow gold wire. Perfectly matched round brilliant diamond ear studs set in platinum by J.M. Edwards. 0.84 ctw G color and SI1 clarity. Petals of pink sapphires sparkle with a bead set diamond center. Rose gold chandelier orange sapphire and diamond earrings. 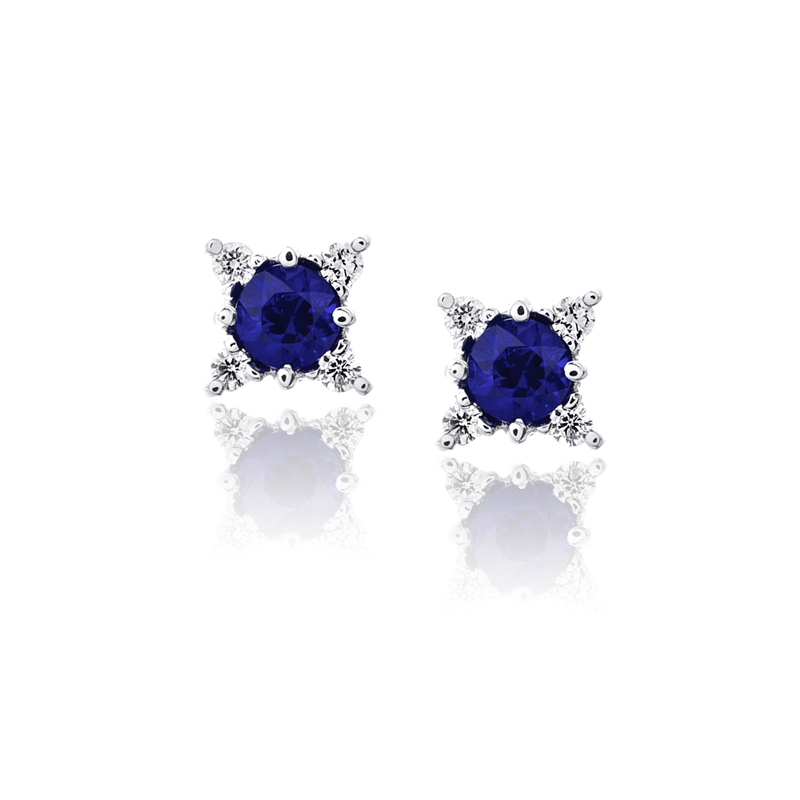 Natural blue sapphire and diamond cluster earrings by Jabel for J.M. Edwards. 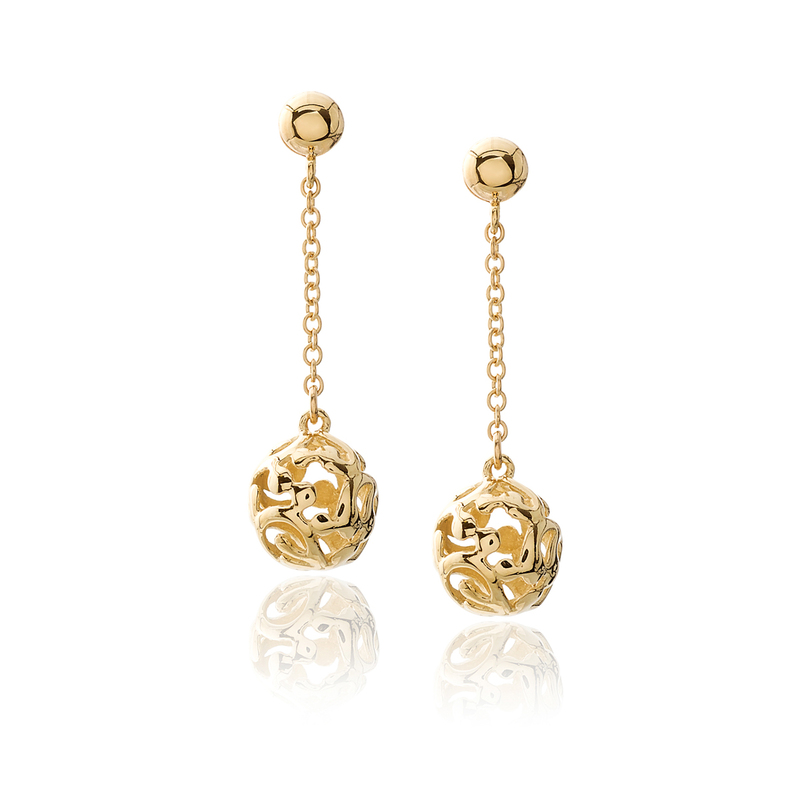 White gold quatrefoil cognac diamond earrings by J.M. Edwards Jewelry. Fancy yellow and colorless diamond earrings by J.M. Edwards. Colorless diamonds 0.12 ctw, E/F VS. Fancy yellow diamonds 0.36 ctw. Sapphire and diamond studs stylishly set for evening and everyday. 0.21ctw Diamonds G/SI1, 0.30ctw Natural Sapphires. Cognac diamond briolette diamond drop earrings by J.M. Edwards Jewelry. 1.89ctw Cognac diamond briollettes, colorless round brilliant diamonds 0.12 ctw E/F VS. Round brilliant cut black diamonds surrounded in a halo of white diamonds. 2.25ctw Black diamonds, white diamonds 0.52ctw G/SI1. 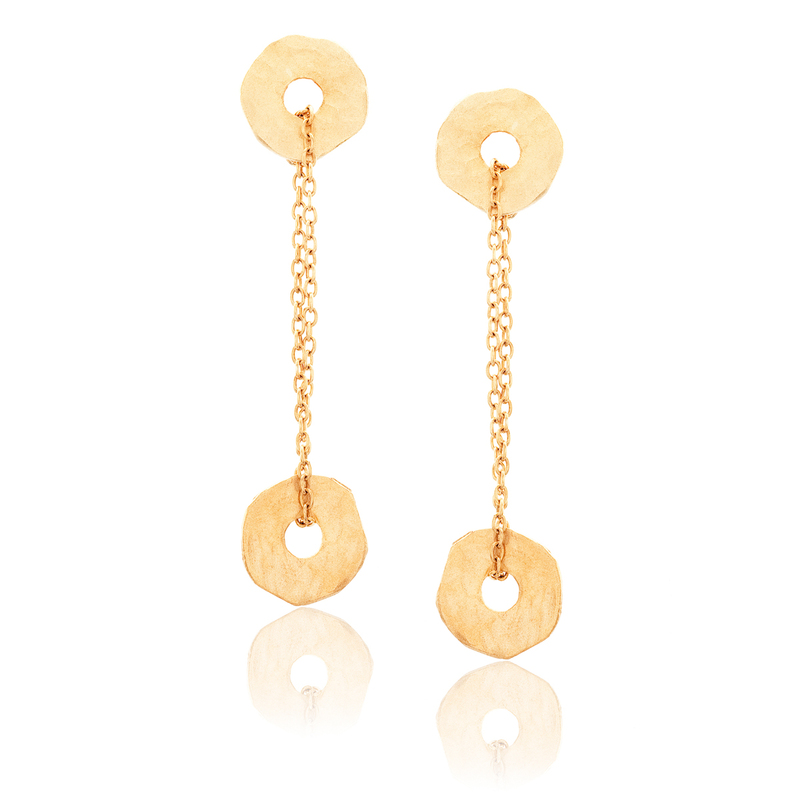 Pear shaped cognac diamond dangle earrings with tsavorite accents in yellow gold. Starlight ruby and diamond earrings set in 14kt white gold. Pink tourmaline earrings accented with diamond halo. White agate dangle earrings with white diamond and black diamond accents. Perfectly matched blue natural sapphire earrings with a diamond halo by J.M. Edwards. 0.70 ctw Sapphires, 0.27ctw Diamonds G /SI1. 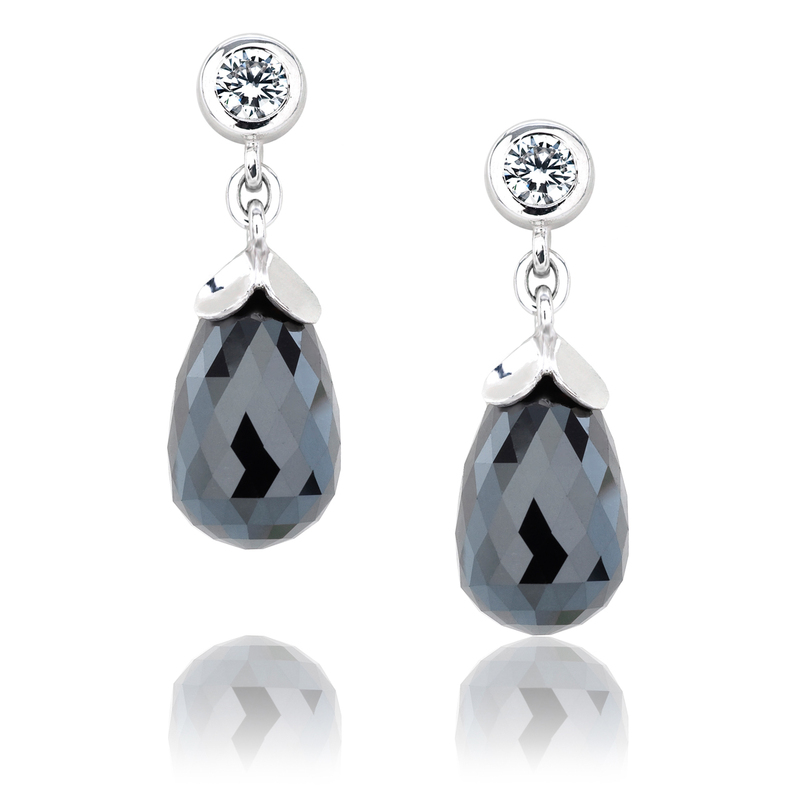 Perfectly matched blue sapphire and diamond drop earrings by J.M. Edwards. 0.70 ctw Sapphires, 0.18 ctw Diamonds G/SI1. Natural emerald earrings by J.M. Edwards. 0.55 ctw Emeralds. Cushion cut green tourmaline earrings with hand fabricated leaf motif by J.M. Edwards. 2.23ctw Tourmaline, 0.05ctw diamonds. Pink sapphire and diamond earrings by Peter Storm. 0.45ctw Pink sapphire, 0.80 ctw Diamonds. Yellow gold tourmaline dangle earrings by I. Reiss. Clover design emerald earstud with diamond accent. 0.91ctw Emeralds 0.06ctw diamonds. Diamond cluster earrings custom made in an elegant circular pattern. By J.M. Edwards Jewelry. 3.38ctw, H/I color, SI clarity. Past, present, and future represented in prong set diamond earrings by J.M. Edwards. 1.00ctw, F color SI2 clarity. Nest style drop earrings suspended from a diamond hoop by I. Reiss. 0.15ctw diamonds, G/SI1. 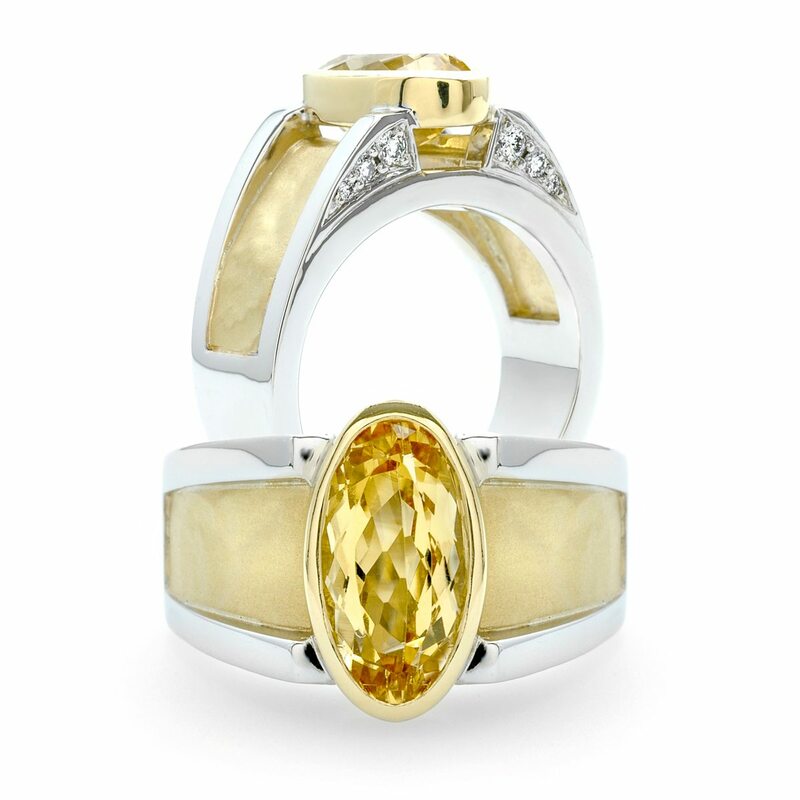 Opaque rose cut diamonds accented by natural fancy intense yellow diamonds set in rose and yellow. 0.54 ctw rose cut diamond, 0.36ctw natural fancy intense yellow diamonds. Tahitian black pearl, golden south sea pearl, and white south sea pearl chandelier earrings with rose cut diamonds. Diamonds are 2.51 ctw. Contemporary square dangle diamond earrings set in white gold. 0.84ctw, Round brilliant diamonds G/SI1. Past, present, and future represented in a white gold bezel design diamond earring. 1.05 ctw, G color SI1 clarity. Past, present, and future represented in a bezel design diamond earring. 0.50 ctw, G color SI clarity. Diamond pave zig zag earrings with omega backs. 0.90ctw, F color VS1 clarity. Rose gold diamond hoops by J.M. Edwards. 1.64ctw Round brilliant diamonds G/SI1. Pink freshwater pearl earrings accented by peridot beads. Classic Tahitian pearl earrings featuring tapered cut baguette diamonds by J.M. Edwards. 1.00ctw Diamond baguettes, 10.2mm Tahitian pearls. Black Tahitian pearls accented by pink tourmaline briolettes. Classic south sea pearl earrings featuring marquise diamond accents. 1.43 ctw Marquise diamons G/VS, 11.8mm south sea pearls. Classic inside out diamond hoops with 3.00 ct total weight, G/SI1. Diamond and ruby hoop earrings by David Connelly for J.M. Edwards. 0.32ctw Rubies, 0.18ctw diamonds. Sapphire and diamond hoop earrings by Jabel for J.M. Edwards. 0.65ctw Sapphires, 0.50ctw diamonds. Yellow sapphire and diamond pave butterfly earrings crafted in Italy. Invisibly set natural rubies in 18 kt white gold earrings. 3.30 ctw Rubies. Invisibly set natural rubies in 18 kt white gold earrings. 1.47 ctw Rubies. Black opal inlay earrings accented with round brilliant diamonds by Kabana. Flower cluster sapphire and diamond earrings set in 14 kt yellow gold. 0.18 ctw Sapphires, 0.35 ctw diamonds. Beautiful rose gold halo with diamonds accenting a prong set round brilliant diamond stud. Pave diamond inside out hoop crafted in Italy. 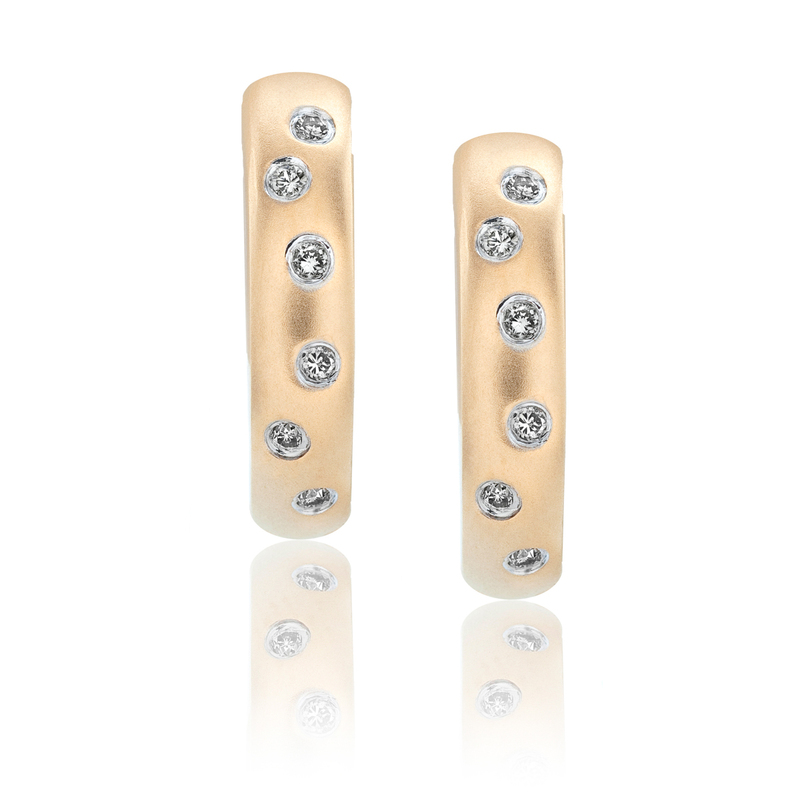 Perfectly matched diamond stud earrings by J.M. Edwards. Available in a variety of sizes. Natural warmth and beauty from cognac diamond earrings with a diamond halo. 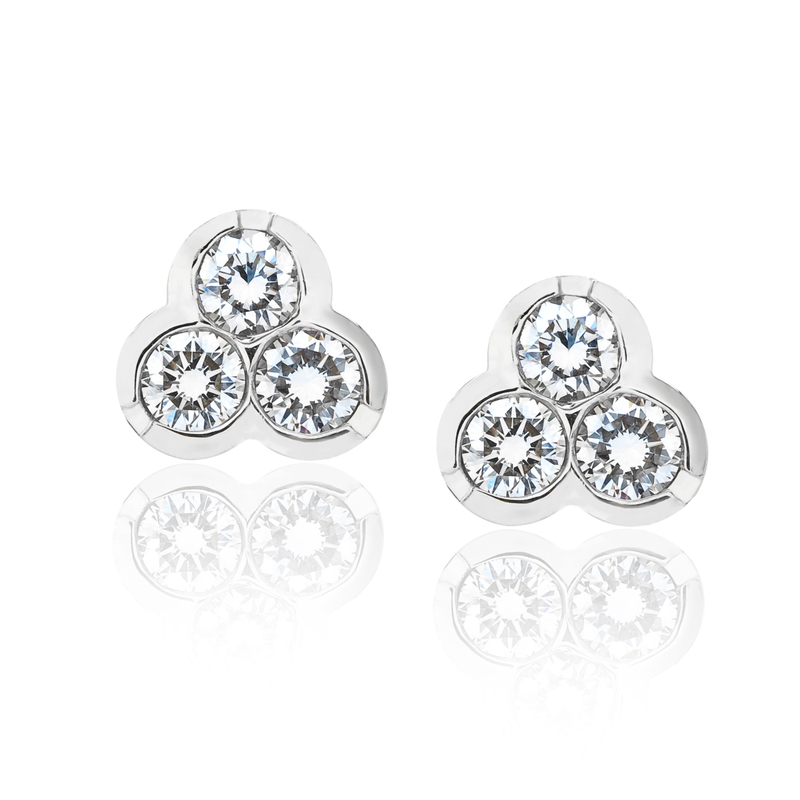 Bezel set diamond stud earrings perfectly matched by J.M. Edwards. Chandelier earrings featuring fancy pink, yellow, and colorless diamonds. Traditional princess cut diamond studs perfectly matched by J.M. Edwards. Exquisite perfectly matched natural emeralds surrounded by a cushion shape diamond halo. One of a kind Custom Art Deco inspired black diamond earrings exclusively by J.M. Edwards. Bezel set round brilliant cut diamond dangle earrings. Four diamonds total weight 0.75 ct G/VS2. Rainbow colored sapphire hoops set in 14kt yellow gold. 1.12ctw Rainbow sapphires. 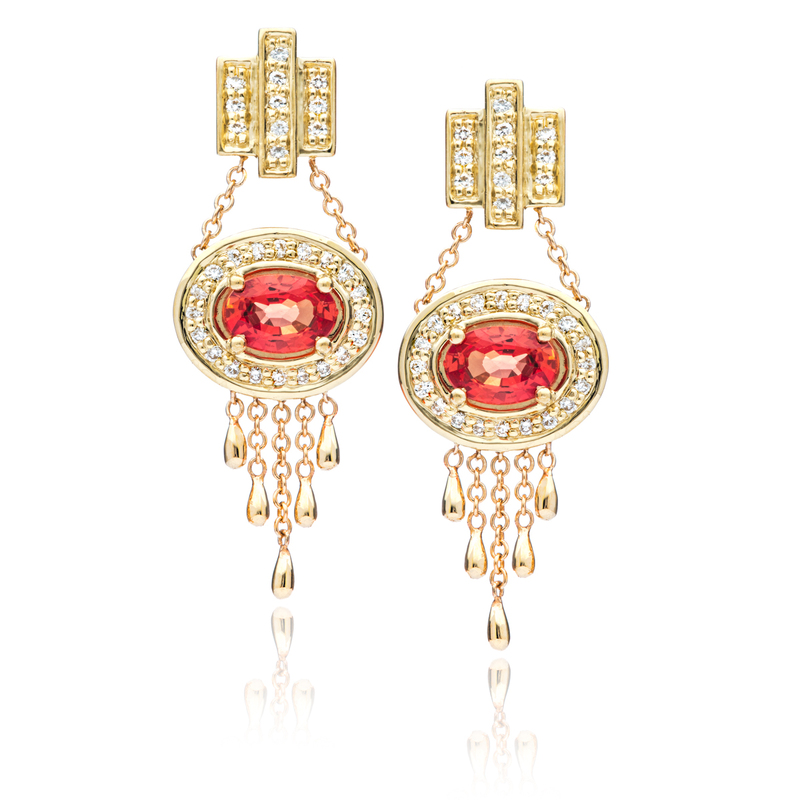 18kt yellow gold rubelite and diamond chandelier earrings by J.M. Edwards. Platinum hand-engraved fancy intense yellow diamond earrings by J.M. Edwards. 1.14ctw Fancy intense yellow diamonds, princess cut colorless diamonds 0.81ctw F/VS. 14 kt yellow gold ruby earrings with diamond halo by J.M. Edwards. 0.60ctw Rubies, 0.93ctw diamonds F/SI1. 14 kt yellow gold emerald earrings with diamond halo by J.M. Edwards. 0.49ctw Emeralds, 0.93ctw diamonds F/SI1. 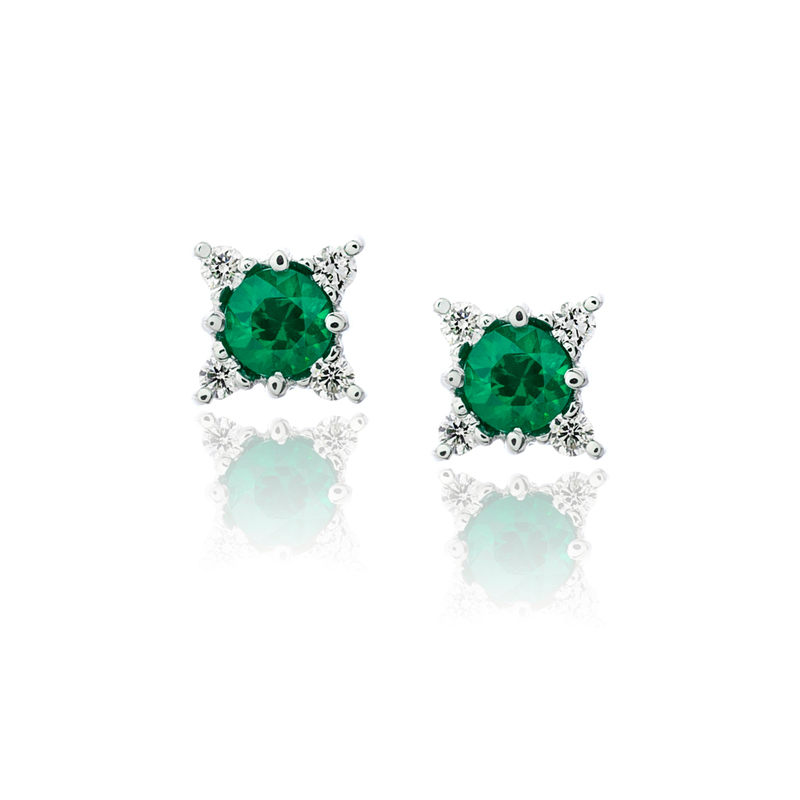 Emerald and diamond earrings set in yellow and white gold. 0.44 ctw Emeralds, 0.39 ctw Diamonds F/SI2. Bead set diamond earrings by Alwan Vahan. Diamonds are 0.24 ctw G/SI. Dramatic double diamond hoops earrings in rose gold. Diamond are 0.93 ctw G/SI1. Chic diamond earring pendants by Breuning . Diamonds are 0.20ctw G/SI1. 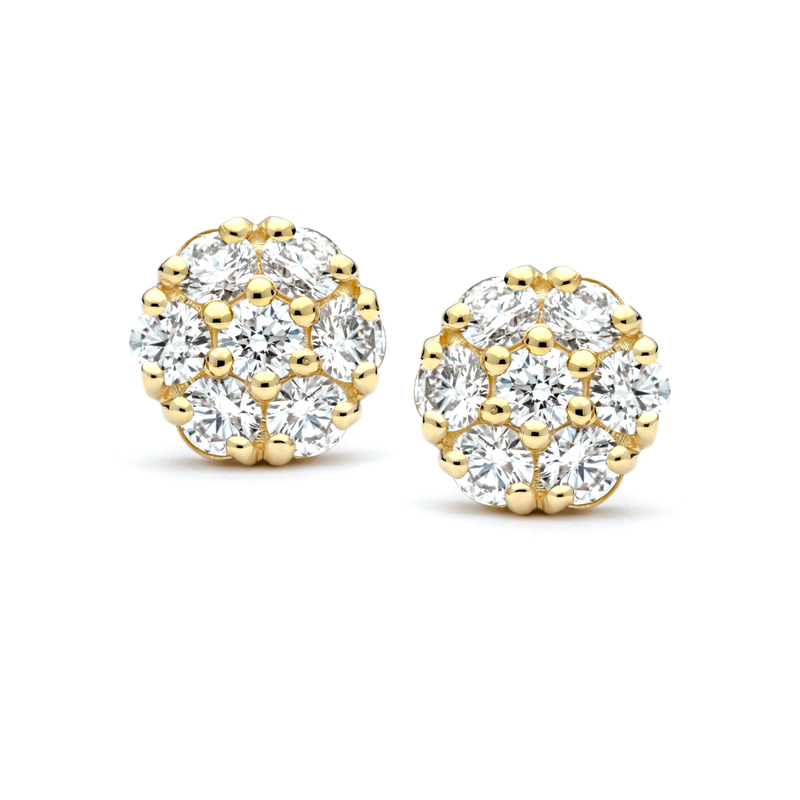 Cluster diamond earrings in a beautiful hexagonal shape. Made by J.M. Edwards. 1.57 ctw F/G color and SI1 clarity. These 14kt white gold aquamarine and diamond earrings shine with a beautiful blue brilliance. The round diamond cut aquamarines have a total weight of 0.90ctw with a rich blue hue.